South Korea’s justice minister has announced legislation is in the works to ban cryptocurrency trading after police and tax authorities reportedly raided the country’s biggest exchanges in a tax evasion probe. “There are great concerns regarding virtual currencies and the justice ministry is basically preparing a bill to ban cryptocurrency trading through exchanges,” Park Sang-ki told a press conference, according to the ministry’s media office. The minister refused to disclose any details about the planned shutdown, but promised to work “jointly” with the government task force. 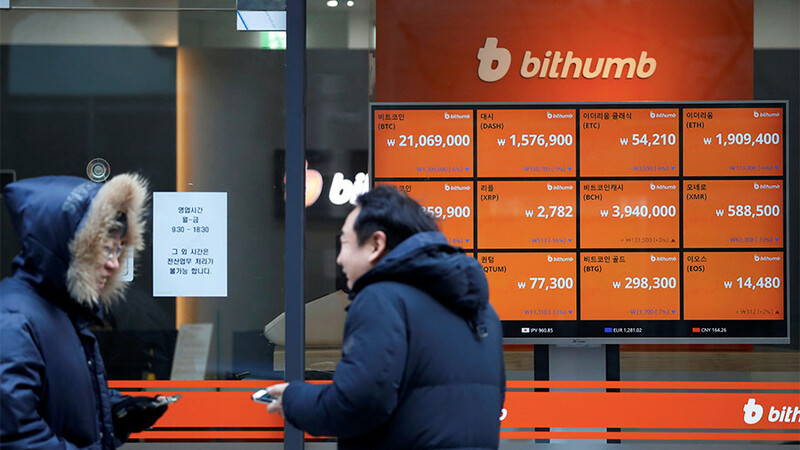 The 2nd largest virtual currency exchange in South Korea, Bithumb, was also raided on Wednesday, according to an official who asked to remain anonymous. “We were asked by the tax officials to disclose paperwork and things yesterday,” the source told Reuters. The ministry apparently sees virtual currency trading in its current form as an illegal activity and plans to embark on discussing the draft bill as soon as this week, according to the SBS news service. The news comes as South Korea is turning the screw on domestic cryptocurrency trading by going after banks and exchanges. The South Korean government announced in December it is going to ban exchanges from enabling anonymous cryptocurrency transactions and prohibit banks from providing virtual currency accounts. On Monday, the South Korean finance regulator said it has been inspecting six banks offering such accounts while looking into a potential breach of anti-money laundering rules. “Virtual currency is currently unable to function as a means of payment and it is being used for illegal purposes like money laundering, scams and fraudulent investor operations,” Choi Jong-ku, chairman of South Korea’s Financial Services Commission (FSC), said at the time. In South Korea, where cryptocurrencies and, in particular, bitcoin, are extremely popular among general population, the financial authorities display a far more timid attitude, with the chair of the Financial Supervisory Service (FSS), Choe Heung-sik, last month warning of a “bitcoin bubble” which will inevitably burst.